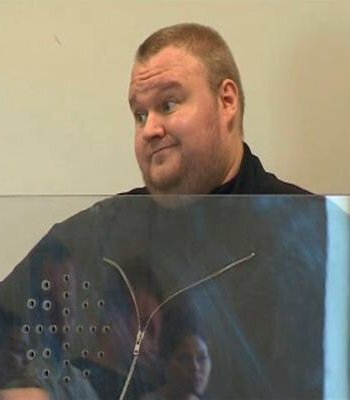 The US Government has been dealt a blow in its ongoing extradition battle to have Kim Dotcom face charges for copyright infringement and racketeering, after search warrants used to raid the Megaupload founder's Auckland mansion were declared invalid by the New Zealand High Court for not sufficiently outlining the crimes he was accused of. "The warrants did not adequately describe offences to which they related. Indeed they fell well short of that. They were general warrants and as such, are invalid," said Judge Helen Winkelmann, adding that it was very "clear that the police, in executing the warrants, have exceeded what they could lawfully be authorized to do." Judge Winkelmann said in her 56-page finding that the Police had acted unlawfully by refusing to return back to Dotcom material of no investigative relevance among the estimated 150TB of data seized by NZ Police. She deemed that the FBI's removing copies of some of the data and taking it back to the US for analysis was also unlawful, and asked the US Government to "voluntary return clones removed from New Zealand, along with any copies/clones or data taken thereform." The warrant used also failed to outline what would happen with the data once seized, and how data of no relevance to the investigation would be handled. Therefore, Judge Winkelmann has ordered that independent lawyers be appointed to oversee the analysis of the haul of data, at the cost of Dotcom's prosecutors. Both sides have also been ordered to appear at the High Court on July 4, to consider "appropriate remedy or remedies" in line with her findings. Dotcom's lawyers are also due in a Federal Court in Virginia tomorrow to argue the case against former file-sharing service should be thrown out, following his lawyers filing for a notion to dismiss the case due to a lack of jurisdiction at the end of May. "We are very happy with today's decision. We are digesting and analyzing Justice Winkelmann's judgment and considering our next steps," Dotcom and his co-accused said in a statement following the Court's decision. The Police declined to comment on the matter.